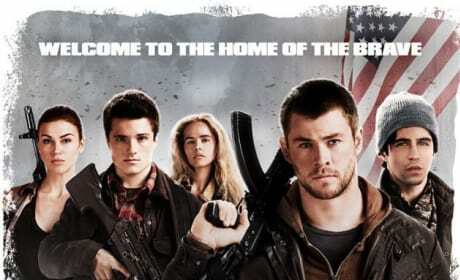 The poster for the Red Dawn remake. 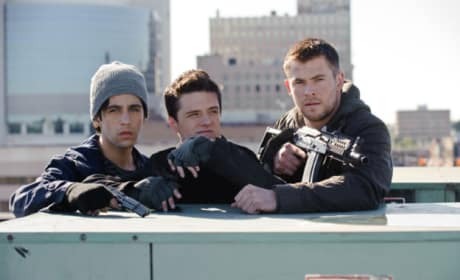 The film stars Chris Hemsworth, Josh Peck, and Josh Hutcherson. 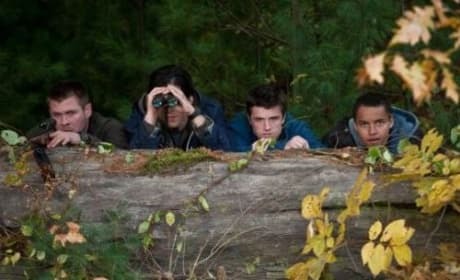 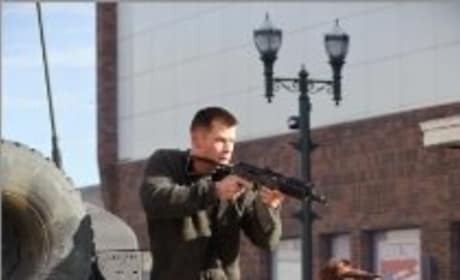 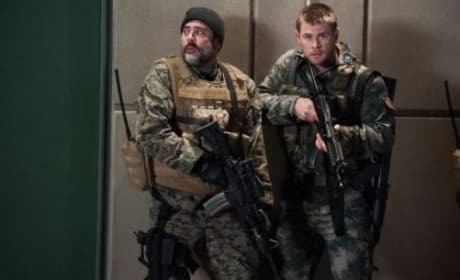 This is an image from the film "Red Dawn".